Have you ever noticed how much of our lives we spend finding and following authorities? I know it sounds strange to say this in the modern world, but it is true. When our car breaks down, we look for someone who can fix it. When we become sick, we look for an authority in medicine. In nearly every area of life, if we are wise, we find authorities and listen carefully to them, and to one degree or another, we follow their lead. Something like this is true in Christian theology as well. If we are wise, we will also listen to authorities in theology. We search for guides to lead us in the right direction and we listen carefully to them. Now at first glance, it may appear that the question of authority in Christian theology is a simple matter. But as Christians have looked for guidance in theology through the millennia, they have discovered that a number of very important practical issues arise. What kind of authority do we need for Christian theology? Where do we find it? 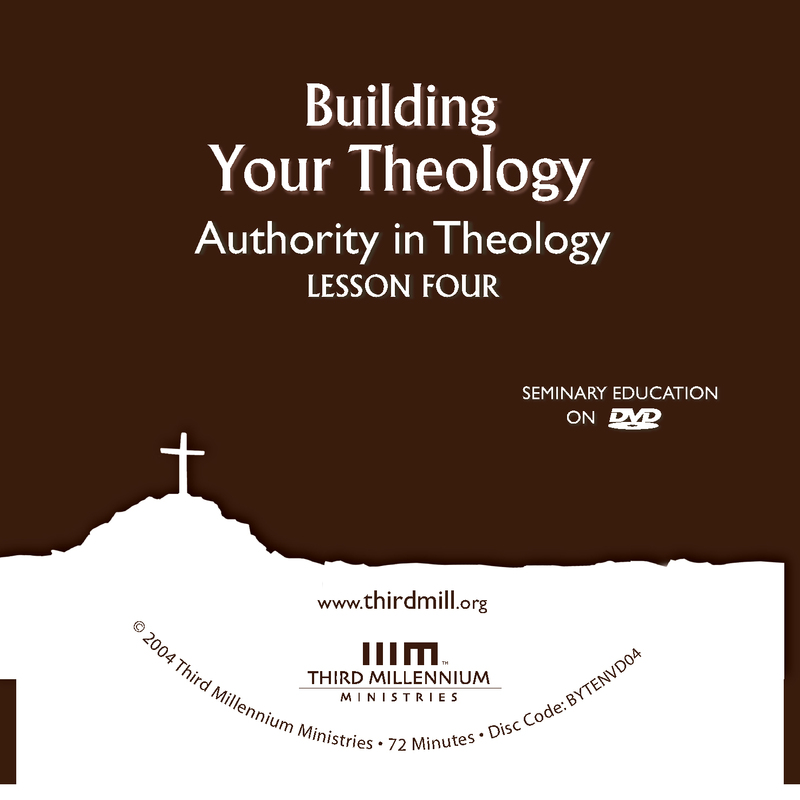 This fourth lesson in our series Building Your Theology is entitled "Authority in Theology" because we will be exploring some of the central issues involved in discovering and following authority as we build our theology. We will focus our attention on the ways Christians have handled these matters in three different periods of church history. First, we will summarize the outlooks on theological authority in the medieval Roman Catholic Church; second, we will examine how early Protestants understood theological authority; and third, we will explore how contemporary Protestants should deal with these matters. Let's begin by looking at the medieval Roman Catholic view on authority in Christian theology. Throughout these lessons we are primarily concerned with Reformed or Protestant theology, but it often helps to begin with medieval Roman Catholicism as a backdrop to Protestant outlooks. As we will see, the Reformed view of authority in theology developed largely in response to the errors of the medieval church. As we explore the medieval church, we will touch on two topics: first, the medieval doctrine of biblical authority; and second, the resulting outlook on ecclesiastical authority. Let's look first at the authority of Scripture in the medieval Roman Catholic Church. Prior to the Reformation, different individuals and orders within the church handled the Scriptures in divergent ways. Even so, it is fair to say that the vast majority of medieval theologians believed in the authority of Scripture, at least in theory. But in practice, the medieval church took a posture toward the Bible that made it nearly impossible to act on this commitment to the authority of Scripture. As we investigate this problem, we will touch on three matters: first, the extreme view of biblical inspiration during the medieval period; second, the excessive views on the meaning of Scripture; and third, exaggerated claims about the Bible's obscurity. Let's think first about the medieval outlook on the inspiration of Scripture. By and large, medieval catholic theologians affirmed both that the Bible was fully inspired by God and that it came through human instruments. Unfortunately, however, during this period of church history, many theologians went to extremes in the ways they understood inspiration. They emphasized the divine origins of Scripture to the neglect of the human and historical origins of Scripture. The medieval overemphasis on the divine origins of the Bible came about for a number of reasons. For instance, medieval theologians depended heavily on Greek philosophies, such as neo-Platonism and Aristotelianism, and these philosophies guided the categories and the priorities of Christian theology in many ways. Because these philosophies valued eternal realities much more than temporal and historical realities, Christian theologians learned to think that the heavenly origins of Scripture were much more essential to its character than were its historical and human origins. Beyond this, medieval biblical scholars were so uninformed about the ancient history of Bible days that they could not make much practical use of the Bible's historical backgrounds. So, they stressed what they did know — namely that the Bible contained timeless truths that the eternal God of heaven had revealed — and they largely downplayed other considerations. The stress of the medieval church on the divine origins of the Bible led to an unfortunate belief about the meaning of Scripture as well. It was widely assumed that the celestial origins of Scripture implied that the Bible did not convey meaning in the same way that other books did. Rather, because God inspired them, the Scriptures overflowed with meanings. Many medieval theologians followed Augustine in believing that one proof of biblical inspiration was that texts of Scripture had manifold meanings. When … two or more interpretations are put upon the same words of Scripture, even though the meaning the writer intended remain undiscovered, there is no danger … For what more liberal and more fruitful provision could God have made in regard to the Sacred Scriptures than that the same words might be understood in several senses? In many ways, we can admire Augustine's high view of Scripture. The Bible is no ordinary book, and its extraordinary qualities point to its divine inspiration. We can also agree that many aspects of the Bible can be explained only in terms of God's supernatural supervision of its writing. But Augustine's outlook went much further than this. He believed that divine inspiration caused passages in the Bible to burst with multiple meanings. Instead of concerning ourselves with the thoughts that the Bible's human authors intended to convey, Augustine believed we should focus attention on the many meanings intended by God. We will call his and related views "classical polyvalence," the belief that biblical texts have many levels of meaning or value because they come from God. Perhaps the most widely known expression of classical polyvalence was the interpretive approach popularized by John Cassian, known as the Quadriga . According to this approach, each biblical text should be viewed as having four distinct meanings. First, the literal sense was the plain or ordinary meaning of a text. Second, the allegorical sense interpreted texts as metaphors for doctrinal truth. Third, the tropological or moral sense produced ethical guidelines for Christian conduct. And fourth, the anagogical sense pointed to the ways texts spoke of the future fulfillment of the divine promises in the eschaton, or in the last days. The details of the Quadriga and other expressions of classical polyvalence are not important for our purposes, and many writers have explained them elsewhere. We are simply concerned with understanding that by the time of the Reformation, by and large, Catholic theologians believed that the meanings of biblical texts went far beyond what we would call today normal or ordinary meaning. And significantly, they tended to believe that these additional meanings were not rooted in the meaning the biblical authors intended to convey. In fact, the literal or plain sense of a passage was often considered too elementary for serious theological reflection. Instead, theologians were encouraged to value the deeper, hidden layers of meaning because they revealed the depths of God's mind to the church. The medieval approach to the inspiration and meaning of Scripture led to an overemphasis on another characteristic of the Bible: its obscurity. The Bible came to be treated as a book that was remarkably unclear, except to those who had been given special supernatural insights. Now it should not surprise us that the content of the Bible would seem unclear to the average Christian prior to the Reformation. In the first place, Bibles were so scarce that hardly anyone had access to one. Moreover, Latin was the primary language of Scripture and theology, and few but the highly educated understood Latin well enough to make much use of it. So, it makes sense that the Bible was a closed book to the average Christian during this time. But the Scriptures were also thought to be obscure even to those with the ability and opportunity to read the Bible. God had placed multiple layers of meaning in the Scriptures that were hidden from plain view. Imagine someone showing you a photograph of a closed treasure box and asking you to tell him what kinds of treasures were in the box. Of course, it would be impossible to know what was in the box because the treasures would be hidden. The same was true for the Bible in the medieval church. By the time of the Reformation, belief in the obscurity of the Bible made it nearly impossible for the Bible to have much practical or real authority over the development of theology. To be sure, the Bible remained, in theory, God's inspired treasure box for Christian theology. But for all practical purposes, the Bible remained closed; it was so obscure that it was unable to guide theologians in their task. With the medieval view of the authority of Scripture in mind, we are ready to turn to our second consideration: the authority of ecclesiastical theology in the medieval church. The medieval view of church authority developed as an antidote for the problems raised by the medieval doctrine of Scripture. Because the Bible was considered obscure, it was not able to function as the authority over theology. As a result, ecclesiastical or church authority began to play a very important role in theology. To understand this special role for ecclesiastical authority, we will look in two directions: first, how medieval theologians understood the authority of the church in their past; and second, how they understood contemporary ecclesiastical authority. Let's look first at the authority of ecclesiastical theology from the past. By the time of the Reformation, the Catholic Church had developed a rather elaborate approach to ecclesiastical authority in the past. Of course, the Scriptures themselves were seen as part of the heritage of the church. Yet, as we have seen, by the medieval period, the teachings of the Scriptures themselves were thought to be so obscure that other sources of guidance were required. As a result, medieval theologians looked into the history of ecclesiastical theology to determine what they should believe. And the vast majority of them saw that the history of the church as the history of God leading and guiding his people in the ways of truth. For this reason, what the church taught in the past was of vital interest to medieval theologians in at least two ways. On the one hand, much attention was given to the early church fathers. The writings of men like Polycarp, Ignatius, Irenaeus, Tertullian and Justin Martyr, and later fathers such as Augustine, Athanasius and Jerome — these men deeply influenced the beliefs of different orders in the church. Now, these fathers were not usually considered infallible, and different branches of the church tended to favor different streams of patristic tradition. Yet, it was still assumed, for the most part, that God had given special insights to these great theologians of the past and that the church must give special attention to their teachings. Seldom did medieval theologians make theological assertions without some kind of support from the early fathers of the church. On the other hand, the medieval church depended even more heavily on the ecumenical councils of the church: the council of Nicea, the council of Constantinople, the council of Chalcedon. The findings of these and other councils were taken very seriously. For all practical purposes, medieval theologians regarded them as unquestionable summations of the teaching of the Bible. To disagree with them was tantamount to disagreeing with the Scriptures and with Christ. As the centuries passed, many teachings of the fathers and findings of the ecumenical councils developed into official ecclesiastical traditions. And as these traditions solidified, they helped to form the extensive dogma of the church. This ecclesiastical dogma was not thought to be a human fallible theology, but theology that bore the same authority as the Scriptures. In fact, for all practical purposes, the dogma of the church replaced Scripture. Before the Reformation, faithful Christians were not expected to ask, "What does the Bible say?" but "What has the church said?" As important as past ecclesiastical authorities were to the medieval church, the doctrine of Scripture at that time also created a need for high theological authority on the contemporary scene. To be sure, the church continued to affirm the authority of the Bible in theory. But the Bible itself was too obscure to guide the church in contemporary issues that had not been settled in the past. So, how was the church to find guidance in current theological controversies? Put simply, medieval theologians believed that God had established a system of living authorities in the hierarchy of the church, and this hierarchy provided the body of Christ with unquestionable teaching. The authority to settle current controversies rested in the priests, the bishops, and the Pope, who was thought by many to be the infallible head of the church. When a theological decision needed to be determined, believers were not encouraged to ask, "What does the Bible say?" Instead, they were encouraged to ask, "What does the hierarchy of the church say?" A few decades ago I served in a street evangelism project in a predominantly Catholic country in Eastern Europe. At one point, I offered a young man a Bible. He stopped to talk, but refused to take the Bible. He said to me, "I can't understand the Bible. My priest has to tell me what it means." "No, you can understand it," I said to him as I opened the Bible to John 3:16, "just read this verse and tell me what it says." He looked at John 3:16 and said in all sincerity, "I told you I cannot understand what this means; only my priest can tell me." Although this young man lived in the modern world, his approach to the Bible was very similar to that of most western Christians in the medieval period. If the only way to understand God's will is through ecclesiastical authorities, then there is no good reason for ordinary Christians to pay attention to the Bible at all. Thus, the official hierarchy of the church, not the Scriptures, served as the infallible guide for contemporary theology. With these medieval outlooks in mind, we are now in a position to appreciate how early Protestants understood biblical authority and ecclesiastical authority. In many respects, the heart of the controversy between Catholics and Protestants was precisely over the question of authority. Was the Bible going to serve as the guide for the church or was ecclesiastical authority in the past and present going to rule? We will look first at the Protestant view of biblical authority, and second at the Protestant outlook on the ecclesiastical authority. Let's look first at the Protestant view of the authority of Scripture. As we have seen, the medieval Catholic outlook on Scripture was extreme in several significant ways. In this section, we will see that early Protestants responded to these errors by recalibrating the doctrines of inspiration, meaning, and clarity of Scripture. Consider first the doctrine of inspiration. As this passage teaches, the Scriptures are ultimately from God, and they are designed to provide God's people with fully reliable special revelation. The Reformers believed that God's hand protected the Scriptures from error. God supernaturally gave biblical writers information about the present, the past and the future, and he superintended their authorship so that everything they wrote was true. Most importantly, divine inspiration gave the Scriptures absolute, unquestionable authority. But the Reformers avoided the mistake of the medieval church by also acknowledging that the human authors of Scripture made significant contributions to the content and meaning of the Bible. Rather than treating the Bible as if it had dropped down from heaven, early Protestants stressed that the Scriptures came through human instruments, through historical processes. This concern with human authorship accords well with the way Jesus and biblical writers often approached the Bible themselves. While the Pharisees were gathered together, Jesus asked them, "What do you think about the Christ? Whose son is he?" "The son of David," they replied. He said to them, "How is it then that David, speaking by the Spirit, calls him 'Lord'? For he says, 'The Lord said to my Lord: "Sit at my right hand until I put your enemies under your feet'" (Matthew 22:41-44). In this passage Jesus used Psalm 110:1 to confound the Pharisees by explicitly drawing attention to David, the human writer of this passage. Both Jesus and the Pharisees agreed that the Messiah would be David's descendant. But in first-century Palestine, David would not normally have called his descendant "Lord." So, Jesus asked the Pharisees to explain why David ascribed this title to his son. Notice that Jesus' argument depended on the fact that the meaning of Scripture depends partly on details in the life of its human authors. Examples like this abound of biblical writers and characters referring to Moses, Isaiah, Jeremiah, David, Paul, and other human instruments of God's Word. These human instruments made significant personal contributions to the Scriptures. From these and other examples, the Reformers rightly concluded that the Scriptures rose out of real human situations, and that they were written by people for particular historical circumstances. If Christians were to understand the Scriptures properly, they must not only stress the divine origins of Scripture, but their human, historical origins as well. Giving weight to the human side of biblical inspiration was much more than a theory for the Reformers; it significantly influenced the ways they conceived of the meaning of Scripture as well. We can summarize the matter this way: Rather than following the model of medieval Roman Catholicism by searching for hidden divine meanings in the Bible, the Reformers sought to ground all of their interpretations in the literal sense of biblical texts, the meaning the human writers intended to communicate to their original audiences. Now, we should be aware that early Protestants did not utterly break with medieval approaches to the meaning of Scripture. At times, vestiges of classical polyvalence appeared in the writings of the Reformation. For example, Luther's commentary on the Psalms shows a continuing dependence on this method of interpretation. Yet, it is fair to say that the Reformers consistently placed far greater emphasis on the intended meaning of human authors than did most of their Catholic counterparts. And, for the most part, they grounded their many applications of scriptural passages in the original meaning of the text. For Protestants, this historical focus was central to interpretation. To understand the early Reformation's emphasis on the literal or plain meaning of biblical texts, it helps to recall that this hermeneutical approach had already taken root in Western Europe through the Renaissance of the 15th century. The Renaissance or "rebirth" derives its name from the renewed interest in classical Roman and especially Greek literature and culture that took place in Western Europe prior to the Reformation. Before the Renaissance, scholars by and large knew the ancient writings of Greece only in translation, and their interpretations were for the most part under the supervision of the church. At different times, the church had practically baptized Plato, Aristotle and other Greek writers so that they were interpreted as supporting Christian doctrine. But during the Renaissance, many scholars found patrons who supported their desire to understand the ancient texts of the classical period free from ecclesiastical supervision. Instead they began to interpret these writings as their authors first meant them to be understood. And as a result, interpretations of highly valued classical literature began to focus on their historical meaning, which often stood in sharp contrast with the teachings of the church. Now, during the Renaissance, new editions of the Hebrew and Greek Bibles were also published and this led to a significant shift in the interpretation of Scripture as well. As we have seen, prior to these days, biblical passages were largely interpreted under the guidance of the church and in support of church dogma. But following the principles of the renaissance, many biblical scholars, especially Protestants, began to read Scripture free from the control of the church and they sought to ground their interpretations of the Scriptures in their original historical meaning. The Protestant orientation toward the original meaning or literal sense as the basis of all interpretation led to a significant shift in the understanding of the meaning of Scripture. Protestants spoke of one unified, coherent meaning for every biblical passage. The true and full sense of any Scripture … is not manifold, but one. We may call this outlook a "univalent" view of meaning. Of course, Protestants realized that biblical passages often say much more than a simple assessment of the literal sense may indicate. Passages in Scripture have many implications and connections with Christian truths that go beyond what the original human writers may have been able to comprehend in their day. But all of these dimensions are part of the single, true and full meaning because they coordinate with the literal or plain sense of the Scriptures. In addition to emphasizing the human side of inspiration and the importance of the unified literal sense of scripture, Protestants also affirmed the clarity or perspicuity of Scripture. Rather than seeing the Scriptures as obscure and in need of authoritative ecclesiastical interpretation, the Reformers argued that the Bible was understandable. A number of factors contributed significantly to the Protestant doctrine of biblical clarity. In the first place, the widespread use of the moveable-type printing press had made more and more Bibles available. And the availability of Bibles, in turn, made it possible for Christians to read the Bible for themselves and to evaluate whether the Catholic Church was correct when it declared that the Scriptures were obscure. In the second place, bold pioneers had begun to translate the Scriptures into the languages of the common people and this also made it possible for people to examine the clarity of Scripture for themselves. In the third place, the Reformation's focus on sensus literalis also enabled theologians to base their interpretations on something that could be examined and tested. They no longer simply needed to rely upon ecclesiastical authorities to tell them what the Bible meant. The examination of Scripture in these ways led to the widespread realization that contrary to the Catholic view, the Bible was very clear. … a plowman can understand the Scriptures. These developments opened the way for Protestants to affirm the clarity of the Bible and to reinstate the Bible as the practical authority for Christianity. As Protestants read the Bible afresh in this new environment, it became evident that many crucial passages that the Catholic Church had declared to be obscure were actually relatively easy to understand. Protestant interpreters found that as they studied more of the Bible, more and more biblical teachings appeared to be remarkably clear. Now, during the early decades of the Reformation, Protestants were extremely optimistic about the clarity of the Bible. It all seemed to be a rather simple matter: Read the bible and conform theology to God's clear revelation there. But as the Protestant movement continued to work through the Scriptures, Protestants themselves became more realistic about the Scriptures and they spoke in terms of degrees of clarity in the Bible. It began to become evident that the meaning of some portions of the Bible were clearer than others. As it became evident that Lutherans believed one thing, Calvinists another, and Zwinglians still another, the early overly optimistic view of the Bible's perspicuity gave way to more qualified outlooks. Actually, this more mature Protestant view should not surprise us. [Paul's] letters contain some things that are hard to understand, which ignorant and unstable people distort, as they do the other Scriptures, to their own destruction (2 Peter 3:16). Notice how Peter put it: He did not say that all of Paul's writings were easy to understand; nor did he say that they were all hard to understand. Rather, he said that some things in Paul's writings are hard to understand. So then, in contrast with the medieval church, the Protestant Reformers exalted the Bible over the authority of the church. Protestants understood that they were not cut off from God's revelation in Scripture. They affirmed the clarity of Scripture and as a result, the Bible was reinstated as the absolute authority over all ecclesiastical authority. Now that we have looked into the early Protestant view of Scripture, we are in a position to see how early Protestants also viewed ecclesiastical authority. As we have seen, the Reformers relied on their views of the inspiration, meaning and clarity of Scripture to reinstate the Bible as the only unquestionable rule of theology. Yet, we must be aware also of the fact that early Protestants did not utterly reject the authority of ecclesiastical theology. On the contrary, Protestants believed that ecclesiastical theology had much authority, but insisted that this authority was secondary and subject to the teachings of Scripture. It will help to explore the Protestant view of ecclesiastical authority by looking in two directions: first, how did early Protestants understand the authority of the church from the past; and second, how did they understand the authority of the contemporary church? Consider first the outlooks of early Protestants on ecclesiastical authority from the past. Even though it is hard for many of us to imagine it, early Protestants recognized a great deal of authority for the teachings of church fathers and the early councils of the church. The Reformers maintained a robust doctrine of the church. They believed strongly that the Holy Spirit had led the early church into many important truths that needed to be recognized by Christians in their day. As we have seen in an earlier lesson, the Reformers spoke of the authority of Scripture under the rubric of sola Scriptura, "Scripture alone." Unfortunately, many evangelicals today have a serious misunderstanding of the doctrine of sola Scriptura. In our day many evangelicals believe that the doctrine of sola Scriptura implies that we should have no authority but the Bible. But this was not the position of the Reformation, and it is not a true implication of the doctrine of sola Scriptura. The Reformers' insisted on sola Scriptura not because they believed that the Bible was the only authority for believers; rather, they meant that the Bible was the only unquestionable authority for believers. As strange as it may sound, Protestants tenaciously defended the doctrine of sola Scriptura not because they dismissed all other authorities out of hand, but precisely because they held other theological authorities in high regard. This paragraph strongly affirms that the Holy Spirit speaking in the Scriptures is "the supreme judge by which all controversies of religion are to be determined." In other words, all judgments of the church are to be made according to the standard of the Scriptures. But notice the language here. The Holy Spirit, speaking in the Bible, is "the supreme judge." Now, if something is the supreme judge, it follows that there are other judges that are not supreme. In fact, the Confession mentions a number of these other authorities in this passage. In what appears to be order of importance, it mentions councils, ancient writers (or church fathers); doctrines of men, referring to the teachings of others in the church in the past and present; and private spirits, that is, the inward sense or conviction regarding a particular matter. The Westminster Confession recognized these authorities, but gave them a secondary standing, authority under the absolute authority of Scripture. Now Catholic theologians often accused the Reformers of rejecting ecclesiastical authority, but the Reformers were careful not to reject the past as they maintained their doctrine of sola Scriptura. In the first place, early Protestants often supported their views with references to the early church fathers. In fact, as Calvin's Institutes of the Christian Religion went through over twenty revisions, we find that Calvin added more and more interaction with early church fathers. In the second place, one passage in Calvin's Institutes of the Christian Religion plainly reveals his outlook on the authority of church councils. I am not arguing here either that all councils are to be condemned or the acts of all to be rescinded, and (as the saying goes) to be canceled at one stroke. "But," you will say, "you degrade everything, so that every man has the right to accept or reject what the councils decide." Not at all! But whenever a decree of any council is brought forward, I should like men first of all diligently to ponder at what time it was held, on what issue, with what intention, and what sort of men were present; then to examine by the standard of Scripture what it deals with — and to do this in such a way that the definition of the council may have its weight and be like a provisional judgment. Yet, not hinder the examination which I have mentioned. Several important ideas stand out in Calvin's words here: First, he insisted that the councils of the church need to be understood historically. They were not timeless, direct revelation from God himself. The interpretative methods of the Renaissance — a focus on the literal historical sense — should be applied to church councils. Believers should "ponder at what time a council was held, on what issue, with what intention, and what sort of men were present." Second, it is not surprising to see that the doctrine of sola Scriptura led Calvin to insist that the teachings of the church should finally be evaluated in the light of Scripture. As he put it here, "the standard of Scripture" must be applied. But third, and most importantly for our purposes here, Calvin claimed that the doctrines of the past should be accepted "like a provisional judgment." That is to say, the longstanding, ancient findings of the church should be accepted as our provisional or preliminary judgments; we should accept their teaching until the weight of careful biblical exegesis proves them wrong. Calvin's strategy reflected the wisdom that guided all but the most radical Protestants in his day. The vast majority of Protestants understood the high authority that should be acknowledged for the early church fathers and for the creeds of the church. They approached ecclesiastical authority in the past with provisional acceptance, tempered by a commitment to the supremacy of Scripture. Having seen the early Protestant view of past ecclesiastical authority, we should turn to how Protestants understood the authority of their own contemporary work. What kind of authority did they acknowledge for themselves and others as they sought to answer current theological concerns? As you will recall, the medieval Catholic Church developed an elaborate system of living theological authorities culminating in the infallible pope. The Protestant Reformation largely amounted to a rejection of this ecclesiastical authority. Only the authority of the Bible was to be accepted as unquestionable. The pope, church councils, and other ecclesiastical authorities were fallible and subject to error. Now, it is important to understand that early Protestants highly respected the authority of duly ordained teachers in the church. The individual scholars or doctors of the church deserved high regard as they developed Reformation theology further. In fact, Protestants of nearly every denomination created confessions, catechisms and creeds of their own that were acknowledged as secondary authorities in the church. Early Protestants had such high regard for duly ordained contemporary theologians because they believed that the Scriptures taught that followers of Christ should honor the authorities God placed in the church. You must teach what is in accord with sound doctrine… Encourage and rebuke with all authority. Do not let anyone despise you (Titus 2:1, 15). The early Protestants recognized that many passages like this one teach that followers of Christ are to submit as much as possible to properly established church leaders. Building a Christian theology was not a task for individuals or groups apart from such structures of authority. This balance between biblical and ecclesiastical authority may be summed up in an old slogan that is often repeated in Reformed circles. "The Reformed church is always reforming," or as it is often abbreviated in the Latin phrase semper reformanda: "always reforming." These slogans indicate that the Reformed branch of the church fully recognized that as important as ecclesiastical authorities may be, they must always be subject to the scrutiny of Scripture. Now that we have looked at the medieval church and the early Reformation, we are in a position to consider the third topic of this lesson: how should contemporary Protestants view these matters? What should we believe about the authority of Scripture and the authority of the church in our own day? We will answer these questions first by addressing the kinds of outlooks we should have toward Scripture, and second by suggesting some important perspectives we should have toward ecclesiastical authority in our day. Let's turn first to the doctrine of Scripture. We will explore contemporary views of Scripture by touching on three issues that have concerned us throughout this lesson: the inspiration of the Scriptures, the meaning of Scripture and the clarity of Scripture. In our day a number of different viewpoints on these subjects claim to follow the Reformation tradition. We will look into these views and assess their value, beginning with modern perspectives on the inspiration of Scripture. Everyone who makes a credible claim of being Protestant today will espouse some belief that the Scriptures were inspired by God. Yet, there is much confusion about how the Reformed doctrine of inspiration should be formulated in our times. At least three views of inspiration are popular among contemporary Protestants. On one end of the spectrum is a view often called "romantic inspiration"; on the other end of the spectrum is a similarly extreme view called "mechanical inspiration." And between these extreme views is an outlook that has been called "organic inspiration." Let's look briefly at all three of these. Romantic inspiration is widely endorsed by more liberal Protestants. In this view, the Bible is inspired in a romantic sense, much like we speak of Shakespeare, Rembrandt, or Bach as being "inspired." God motivated biblical writers, but he did not superintend their writings. In this view, the Scriptures are just the opinions of men. The Scriptures are therefore fallible and lack absolute authority over the church. Now, needless to say, this outlook on inspiration must be rejected by those who want to continue in the spirit of the Reformation; it abandons the central Protestant commitment to sola Scriptura by denying both the reliability and the ultimate authority of the Bible. On the other end of the spectrum is mechanical inspiration, or as it is sometimes called "inspiration by dictation." To one degree or another, this outlook asserts that biblical authors were relatively passive as they wrote the Scriptures. In this view, God essentially authored the Bible himself, while human writers acted as his compliant secretaries. On the whole, this view of inspiration also leads away from the Reformation principle of sola Scriptura because it denies the importance of the human author's historical context and the original meaning. As the Reformers were careful to note, when the value of the literal sense of Scripture is denied, the practical authority of Scripture is hindered. The meaning of the Bible can no longer be assessed and followed. We are forced to read our own ideas into the Bible. And as a result, the Bible itself no longer serves as our supreme authority in theology. Contemporary Reformed theology must avoid both the extreme of romantic inspiration and the extreme of mechanical inspiration by re-affirming the fully organic nature of inspiration: God moved biblical authors to write, and superintended their writings so that they wrote infallibly and authoritatively. But he did not circumvent their personal thoughts, their motivations, their feelings or their theology. On the contrary, the human and divine dimensions of inspiration were not at odds at all. Rather, all of the Bible presents God's timeless truths, but in highly human, culturally conditioned texts. All of the Bible's teachings are normative for all times, but its teachings are tied to the context of particular circumstances. The Reformed view of organic inspiration emphasizes both the human and the divine, the historical and the transcendent qualities of all of the Bible. And by this means, the Reformed doctrine of sola Scriptura can be maintained. Without a doubt, of the three major ways Protestants think of biblical inspiration, those who wish to further the Reformation in our day will see that the doctrine of organic inspiration most fully accords with the principles that gave rise to and led the Protestant Reformation. In addition to stressing the organic nature of inspiration, modern theologians in the tradition of the Reformation must also rightly assess the nature of the meaning of Scripture. Once again, a spectrum of positions has been proposed as representative of Reformed thinking in this area, but not all of the options further the ideals of the Reformation.  On one end of the continuum is a view that could be called "contemporary polyvalence," on the other end is a view that could be called "simplistic univalence," and in the middle is a view that may be called "multifaceted univalence." Let's touch first on contemporary polyvalence. In recent decades, some Reformed theologians have spoken of the polyvalence of biblical texts, believing they believe that the Scriptures have many different meanings. But whereas "classical polyvalence" affirmed multiple meanings because of the Bible's divine origin, "contemporary polyvalence" is usually based on the ambiguities of human language. In effect, "contemporary polyvalence" teaches that biblical passages are empty vessels for interpreters to fill with meaning. To be sure, just as a vessel has a given shape, the grammar of biblical texts establishes some basic parameters of meaning. 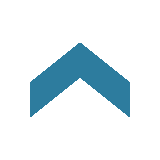 Nevertheless, within these parameters, the specific meaning is supplied by biblical interpreters. On this basis, it is argued that we need to reject the Reformation's stress on the abiding normativity of sensus literalis. Instead, it is argued, we should pour our own interpretations into passages, giving little or no concern to the original or literal meaning of the text. But we must reject this notion of polyvalence because it renders the authority of Scripture null. It gives human interpreters the right to pour their own ideas into the Scriptures. A Christian with simplistic univalence in mind might say something like this: "This verse is very simple; John 3:16 tells us that we must believe in Christ." Now, this summary is true, as far as it goes, but the verse says much more than this. It also speaks explicitly of God's love; of the incarnation, death and resurrection of Christ; and of the world, eternal punishment, and eternal life. And, because the doctrines of Scripture form webs of multiple reciprocities, this verse also speaks implicitly of all kinds of topics that the rest of Scripture addresses more directly. So, in this sense, John 3:16, has only one meaning, but that meaning exceeds any summary we are able to make of it. When we fail to see that the meaning of Scripture is so complex that it always exceeds our interpretations, we run a serious risk — the risk of too closely identifying our interpretation of the Bible with the Bible itself. Our interpretation takes on the authority of the Bible itself and we reject sola Scriptura, the belief that the Bible always stands above our interpretations. When there is a question about the true and full sense of any Scripture (which is not manifold, but one), it must be searched and known by other places that speak more clearly. In this view, each passage has one meaning, but this one meaning is complex and multifaceted, revealed by the web of multiple reciprocities established by the whole teaching of Scripture. We need to affirm this Reformation notion of complex univalence today because it affirms that the Bible presents authoritative meaning rather than waiting for us to provide it. But it also restrains us from lowering the Scriptures to the level of our summaries of the Bible. Every Scripture text stands as authoritative above our very best efforts to interpret the text. This outlook of "multi-faceted univalence" provides a way of handling the meaning of Scripture that will enable us to further the theology of the Reformation in our day. We are now in a position to speak of modern Reformed views on the Bible's clarity. It will help us again to think in terms of three points along a spectrum. On one end, we face contemporary tendencies toward utter obscurity; on the other end we face contemporary tendencies toward utter clarity; but in the middle rests the Reformation doctrine of degrees of clarity. It is not difficult to find Protestants today who treat the Bible as almost entirely obscure or hidden from us. Often, in the spirit of deconstruction and post-modern hermeneutics, they consider the Scriptures obscure because they believe the Bible is self-contradictory and self-defeating, just as they think about all other literature. In their view, the history of biblical interpretation has revealed so many exegetical difficulties that it is nearly impossible to determine how we should understand the Bible today. Now it is true that as with all adequate human communication, there are always obscurities on the edges or margins of biblical revelation, but it can hardly be said that the Bible is unclear about everything. There is much in the Bible that is quite clear. This view does not reflect the Reformation's belief in the clarity of Scripture. If we want to continue in the spirit of reformation today, we must reject such exaggerated notions of biblical obscurity. On the other end of the spectrum, some Protestants believe that nearly all Scriptures are so clear that they can understand them quickly and easily. More often than not, advocates of such views are able to hold this simple view of the Bible's clarity because they simply dismiss out of hand all interpretations that do not come from their very narrow Christian communities. Exaggerating the clarity of Scripture is a great temptation to many theologians in the Reformed tradition today. We want desperately to keep the Scriptures out of the quagmire of modern skepticism and cynicism. But to oversimplify the clarity of Scripture in this way does not represent the Reformation's outlook on the clarity of Scripture. As we have seen, the early Reformers admitted that some portions of the Bible are difficult, if not impossible, to understand. Notice that the Confession distinguishes that which is necessary for salvation as clear in one place or another, but also admits that not everything else in Scripture is equally clear. In other words, the Bible is neither entirely unclear nor entirely clear. You will recall that in a previous lesson we distinguished among various levels of confidence we have in different Christian doctrines. We used the model that we call "the cone of certainty." Toward the bottom of our cone of certainty, we have beliefs that we hold tenuously because we have low levels of confidence about them. At the top, we have those core beliefs that we hold tenaciously; to give them up is to give up the Christian faith. And between these extremes we have everything else we believe with varying degrees of confidence. In many respects, it helps to think of the clarity of Scripture in similar terms. In the first place, many aspects of biblical teaching, including the knowledge of what is required for salvation, require little or no scholarly effort to understand. As the Westminster Confession put it, the "learned" and "unlearned" alike may understand these things. Other biblical information fits into this category, too. In fact, enormous portions of the Bible are fairly easy to understand. For example, it is not hard to see that God created the world, or that there were men named Abraham, Moses, and David, or that Israel went into Egypt and later into exile. The New Testament plainly teaches that Jesus grew up in Nazareth and that there were apostles. These and innumerable other features of Scripture are so clear that no one needs to put forth scholarly or academic effort to know them. In the second place, some aspects of Scripture are known only by serious students who study subjects like ancient history, or text criticism, or biblical languages, interpretive methods, and theology. Among these matters we might count things such as Paul's eschatology, or the historical purpose of the book of Genesis. These and other aspects of Scripture require more scholarly attention. But with sufficient academic efforts, many things that initially appear to be obscure become clearer to us. Finally, some portions of Scripture appear to remain unclear no matter how much effort we put forth. Some of the more obvious examples of these dimensions of Scripture arise when we try to harmonize parallel portions of Scripture like Samuel, Kings and Chronicles, or the New Testament Gospels. Even though great strides have been made in these areas, many problems still appear to be unsolvable. So, as we approach the Scriptures, we must always remember that some dimensions of the Bible are clearer than others. Only when we face this reality can we responsibly handle the authority of Scripture. Although every part of Scripture is unquestionably authoritative, on a practical level, we are able to grasp and use its authoritative guidance to varying degrees depending on the relative clarity of the different parts of Scripture. So we see that to represent the Reformed tradition in our day, we must avoid contemporary extremes on the clarity of Scripture and affirm that perspicuity is a matter of degree. With these perspectives on biblical authority in mind, we should turn our attention to ecclesiastical authority in contemporary Reformed theology. We will focus again in two directions: first, we will look at how contemporary Reformed theologians should view ecclesiastical authorities from the past; and second, we will address how contemporary Reformed theologians should view ecclesiastical authorities today. Let's look first at the past. As we have seen, early Protestants understood that the Holy Spirit had taught the church many truths in the past. They sought to give proper respect and submission to the teachings of the fathers, the creeds and longstanding traditions of the church by accepting them as provisional judgments. Yet, early Protestants also balanced this practice with a strong affirmation of the supremacy of Scripture over past teachings of the church. They relied on the past, but they also sought to evaluate all teachings of the church by the standard of Scripture. Unfortunately, Reformed theologians today often find it difficult to hold firmly to both sides of this early Protestant position. It helps to take notice of three directions we may go: traditionalism on one end, biblicism on the other, and the Reformed practice of semper reformanda between these extremes. On the one side, contemporary Reformed theologians often fall into the trap of "traditionalism." By traditionalism, we mean they stray toward practices that closely resemble medieval Roman Catholic traditionalism. Now Reformed theologians affirmed the authority of Scripture and they certainly reject the traditions of Catholicism. But many times, Reformed traditionalists so highly treasure past expressions of the Reformed faith that, on a practical level, they fail to scrutinize the past adequately. If you have had much exposure to Reformed theologians today, you have probably seen this tendency. Often Reformed theologians embrace doctrinal positions and practices from the past to the point that these traditions are taken as unquestionable foundations for contemporary reflection and practice. All too often, these well-meaning Reformed theologians tend to answer theological questions simply by asking, "What do the Reformed confessions say?" rather than by asking, "What does the Bible say?" On the other hand, modern Reformed theologians also go to an opposite extreme as they deal with ecclesiastical authority from the past. In a Christian version of Enlightenment modernism, they fall into what may be called "biblicism." These theologians act as if each person must come to the Bible and decide every theological issue without the aid of past Protestant tradition. Time and again, theologians who identify themselves with the Reformed branch of the church react to Reformed traditionalism by saying things like, "It does not matter what the church has said. All I care about is what the Bible says." This kind of rhetoric goes far beyond submitting to the Scriptures as our final authority. It neglects the wisdom that God's Spirit has granted to the church, and it grants theological judgment only to the individual or groups of individuals who are currently at work. To continue in the spirit of the Reformation today, we must re-affirm the principle of semper reformanda. We must strive to affirm the supremacy of Scripture without ignoring the importance of Reformation tradition. On the one hand, semper reformanda today requires that we accept as provisional judgments not only the early church fathers and councils, but also our own Reformed confessions and Reformed traditions. We have the Westminster Confession of Faith , the Westminster Shorter and Larger Catechisms , the Heidelberg Catechism , the Belgic Confession , the Canons of Dort . In addition to these documents we have scores of less formal writings by leaders and theologians of the past. But on the other hand, these authorities from the past should always be subject to the unquestionable teaching of Scripture. To further the Reformation today, we need to learn how to give this kind of weight to ecclesiastical authorities from the past under the authority of Scripture. Having looked at how Reformed theologians today should relate to the past, we should turn to an equally important matter: How should Reformed theologians assess contemporary ecclesiastical authorities. How should we understand the authority of theological formulations that are developing in our day? We have seen that the early Protestants affirmed the value of theology developed by duly ordained leaders in the church, but that they guarded against exalting contemporary authorities in the church over the teaching of Scripture. Unfortunately, once again, contemporary Reformed theologians often find it difficult to follow these early Protestant outlooks. They tend to go to extremes in the ways that they understand Reformed theologians living in their own day. On the one side, Reformed theologians tend to be skeptical about doctrinal formulations today. On the other side, many tend toward dogmatism about doctrinal formulations in our times. But the way of authentic Reformation theology is to strive to be "faithful in contemporary doctrinal formulations." Rather than severe skepticism or dogmatism in contemporary Reformed theology, this point of view embraces a desire to create "faithful formulations." Let's unpack what we mean by faithful formulations. To understand what we mean it helps to examine how we conceive of the truthfulness of theological statements. The severe skepticism and dogmatism that we face in our day exists in part because doctrinal statements are often evaluated in simple binary terms. Like traditional abstract logical truth tables, doctrinal statements are often thought to be simply true or false. But in reality, it is helpful to break with this abstract, binary model. It is much more helpful to think of the truth value of doctrinal statements in analog terms, as a range of possibilities along a continuum between truth and falsehood. All theological statements are more or less true or false, depending on how closely they mirror the infallible teaching of Scripture. On one side of this continuum, we find that some theological positions describe the teaching of the Bible well enough that we may in good conscience call them true. Now, these statements are not perfect, of course, but they are close enough to be accepted as true unless some qualification arises that reveals that they are not adequate. On the other side of the continuum, other theological positions are so far from the teaching of Scripture that we are right to label them as false, unless some qualification shows that they are acceptable. Take for example, the statement, "God is sovereign over all things." Now, this statement is close enough to what the Bible teaches that we normally should have no problem with saying that it is true as far as it goes. The Bible does teach that God is sovereign over all of his creation. Yet, because this statement can be improved upon, it is, in some sense, imperfect. For example, if we are distinguishing biblical faith from deism or fatalism, this statement could actually give a false impression. It could actually be misleading, unless we qualify it to include the reality of divine providence that God interacts with historical events. In a similar way, the statement that "Jesus is God" is close enough to the Scriptures to be accepted as true in most situations. We can be satisfied that is does represent the teaching of Scripture, as far as it goes. But we realize that in certain contexts, such as those times when we are dealing with Christian cults, this statement may actually obscure the truth; it may mislead. The Bible also teaches that Christ is fully human. And, in certain circumstances, we must qualify the statement that "Jesus is God" to include the humanity of Christ as well before we can be satisfied that it expresses the truth well enough. In the end, we may say these things about contemporary theological formulations. Some theological statements are close enough to Scripture to be counted as true. Others are far enough from Scripture to be counted as false. One thing is true of all theological formulations: they can all be improved. This is nothing more than the early Reformed maxim: semper reformanda, "always reforming." Or as I like to put it, "A final theological formulation is nothing more than the lack of imagination." This is what we mean when we say that the aim of contemporary Reformed theology is to produce faithful theological formulations. On the one side we are not skeptical about contemporary ecclesiastical theology; we do not reject all sense of authority or need of submission to what the church says today. On the other side, we are not utterly dogmatic; we do not insist that contemporary formulations are perfect. Instead, we humbly and responsibly use all the resources God has given us — exegesis of Scripture, interaction in community, and Christian living — to develop faithful doctrinal formulations. We seek to conform our teachings as much as possible to the teachings of Scripture. The closer our doctrines are to Scripture, the more authority they have. The further they are from Scripture the less authority they have. But in all cases, the theology of the church must always be held in submission to the Scriptures. Our goal is to produce faithful theological formulations. In this lesson we have explored the relation between biblical and ecclesiastical authority. We have looked at a number of outlooks that developed during the medieval period. We have also seen how the early Reformation corrected these views. And finally, we have explored the need to apply the outlooks of the Reformation to biblical and ecclesiastical authority in our own day. Building a Christian theology requires a careful assessment of biblical and ecclesiastical authority. As we keep the principles we have seen in this lesson in mind, we will be able to avoid the many problems that have plagued the theology of the church in the past and many that still trouble us today. We will be able to build theology that will minister to the church and bring honor to God.